Gators, Octopi, and Grizzlies, Oh My! 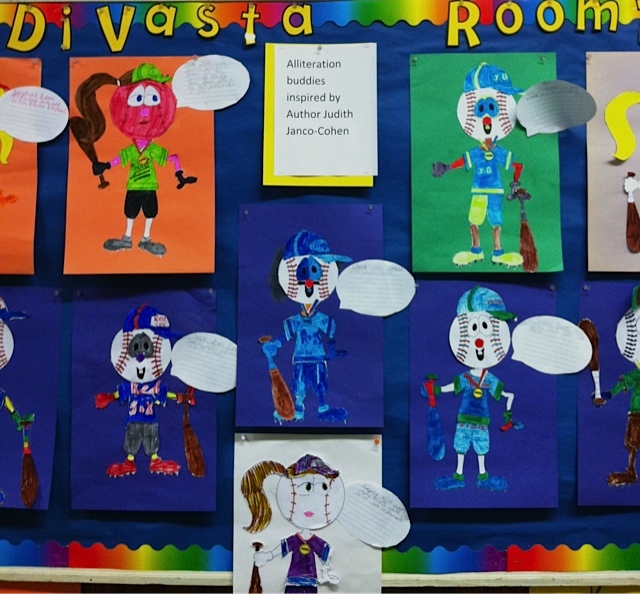 Ms. DiVasta’s third graders had some fun designing Alliteration Buddies after attending my “Exciting Writing” workshop. Below is a photo of some of their work. Thank you for a Delightful Day! I am the author of 46 children's books and a Science journalist for Scholastic. I also work as a consultant giving Writing and Science programs at schools and libraries. Who’s Reporting on Your Book? You May Never Know, Unless . . . Positively passionate 4th grade teacher, mom, being myself and helping others! A service of New England SCBWI. All opinions expressed belong to the individual bloggers and commenters who are solely responsible for their content.